If you've got a vehicles lover at your house (be it planes, trains, submarines, cars, trucks, etc.) this is exactly what you've been looking for—we promise. A compilation of some of the very best books about vehicles we could find that span the whole gammit. Some are silly, some will teach you things, but all can simultaneously fuel your child's love of reading and vehicles! Gorgeous illustrations, wonderful cadence and lots of excellent train vocabulary to boot. This one is a joy to read again and again, and is simultaneously upbeat and soothing. 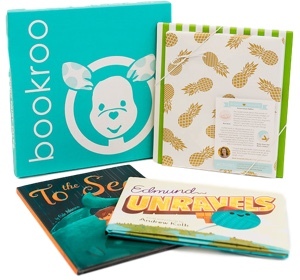 An unabridged board book version of the bestselling hardcover, perfect for small hands! The dream train pulls into the station, and one by one the train cars are loaded: polar bears pack the reefer car with ice cream, elephants fill the tanker cars with paints, tortoises stock the auto rack with race cars, and kangaroos stuff the hopper car with balls (while zebras referee). Dreamy illustrations and gentle rhyming text make this a beloved bedtime favorite for budding train enthusiasts everywhere. The style of this book with the raised portions that fit beautifully into the page opposite is so fun for little hands to explore, and the breadth of vehicles from double-decker buses to trains to rocket ships is broad and fun! I really enjoy that because there are only a few vocabulary words without explanation provided per page, my toddler and I get to have an interactive experience reading this book and we can choose different parts to explore each time depending on our mood and the speed we're going at! In the tradition of Counting By 7s and The Thing About Jellyfish, a heartwarming coming-of-age story about grief, family, friendship, and the importance of finding your voice Wayne Kovok lives in a world of After. After his uncle in the army was killed overseas. After Wayne and his mother survived a plane crash while coming back from the funeral. After he lost his voice. Wayne has always used his love of facts to communicate ("Did you know more people die each year from shaking a vending machine than from shark attacks?"). Without his voice, how will he wow the prettiest girl in school? How will he stand up to his drill-sergeant grandfather? And how will he share his hopes with his deadbeat dad? It's not until Wayne loses his voice completely that he realizes how much he doesn't say. Filled with Karen Harrington's signature heart and humor, Mayday tackles an unforgettable journey of family and friendship. Bill Peet wrote 34 children's books in his career and they are all still in print! The Caboose Who Got Loose is one of our favorites. Written in effortless verse, the story chugs right along, paired beautifully with Peet's signature illustrations. He has a gift for breathing life into animals and familiar objects, in this case, a caboose; the houses and other structures and vehicles also take on human qualities and emotions. The book is a delight to read again and again. Katy caboose doesn't like her life at the back of the train. Stuck with clouds of billowing smoke from the engine and a bumpy, jolting ride, she longs for some peace and quiet. When her rusty bolts bust loose, Katy finally gets the life she wants in a way she never expected!This Read-Along Book and CD Favorite includes a paperback edition of the book and a compact disc in a newly designed reusable package. Perfect for car trips, classrooms, and bedtime listening, these recordings feature lively sound effects and original music. The CD includes one reading with page-turn signals as well as an uninterrupted reading. Not as cute as the original Goodnight, Goodnight Construction Site, but still an enjoyable read if you've got a little one that likes construction vehicles. This sequel introduces 5 additional construction workers and focuses on teamwork between the original and new trucks. It ends with the trucks bedding down for the night and a fun throwback to the original book. This is a sweet little story with a refreshingly unique premise and characters. Kids will have fun exploring the idea of a tractor as the main character, but the plot goes beyond the character as a premise--not only is Otis a tractor, but he's a tractor who has a story arc! The illustrations have a distinctive style as well. All these components come together to create a book that is original and memorable. It wasn't a total home run for me, but it was cute and something I wouldn't mind reading aloud from time to time. Meet Otis, everyone’s favorite tractor, created by the bestselling illustrator of Love by Matt de la Pena and The Little Engine that Could by Watty Piper New York Times bestselling author/artist Loren Long creates an unforgettable children’s classic. Otis is a special tractor. He loves his farmer and he loves to work. And he loves the little calf in the next stall, whom he purrs to sleep with his soft motor. In fact, the two become great friends: they play in the fields, leap hay bales, and play ring-around-the-rosy by Mud Pond. But when Otis is replaced with the big yellow tractor, he is cast away behind the barn, unused, unnoticed . . . until the little calf gets stuck in Mud Pond. Then there is only one tractor—and it’s not big or yellow—who can come to the rescue. It is little old Otis who saves his friend. It is Otis who saves the day. In a wonderful new palette, and in the tradition of classics like Mike Mulligan and His Steam Shovel and The Story of Ferdinand, Loren Long has crafted an unforgettable new story—and character—celebrating the power of friendship and perseverance. The format of this book is akin to the very high-end Xavier Deneux books by Chronicle, with one part raised on one side of the page, which fits into a cut out on the other page, and is fun for little fingers to explore. I really enjoy that per the title it is a "clever colors book" that not only teaches colors, but also different types of transportation, and different words for groupings of vehicles (particularly since some are a little silly i.e. "a squeeze of buses"!) If your kid is into I-Spying in books, this is also great for pointing out different kinds of animals that ride in and drive these vehicles across the pages. On the farm where Otis the tractor lives, it hasn’t rained in a long time and farmers all over the valley have grown anxious with water in such short supply. One hot afternoon, when Otis and his friends are resting beneath the shade of the apple tree, Otis spots something moving down in the valley—an orange tabby cat headed straight for the old barn. But then Otis sees something else that causes his engine to sputter . . . a swirl of smoke coming from the same barn. A fire! As Otis races toward the fire with his friends in tow, he spots the tabby cat mewing in alarm. Otis rushes inside to discover the source of the cat’s worries–her little kittens are perched up on the hayloft, scared. Otis never hesitates. Yet even after he delivers a tractor full of kittens safely outside, their mama remains upset. Re-entering the burning barn, Otis discovers why: one tiny kitten, still too scared to move. With a friendly chuff, Otis coaxes her down and she scampers out the door. That’s when the floor collapses with a CRASH, trapping the tractor. Now Otis, the friend everyone can count on, must count on his friends. Told with a sense of play and devotion, this is a heartwarming tale that reminds readers that sometimes even those who we count on to help us need a little help themselves. From the creator of Otis, Otis and the Puppy, and the illustrator of The Little Engine That Could and Of Thee I Sing by President Barack Obama. This is a great book for littles who love tractors, vehicles, and farms! I especially love the lift-the-flap feature. Alphabet Trucks is one of the more unique alphabet books I've read, and I think it's great. Who would have guessed you could find specialized trucks that start with each letter of the alphabet? Many alphabet books can be a bit random, so Alphabet Trucks offers creative text and pictures in a very narrow space: trucks!